We, Minster CofE Primary School are the ‘data controller’ for the purposes of data protection law. Our Data Protection Officer is the SPS Data Protection Officer (see ‘Contact us’ below). Parents/carers also have a legal right to access to their child’s educational record. To request access, please contact Wendy Vinson, Business Support Officer. Our school has a warm, Christian family ethos where our children thrive in a secure and happy atmosphere. They are fully supported and nurtured from when they join us until they leave our care. 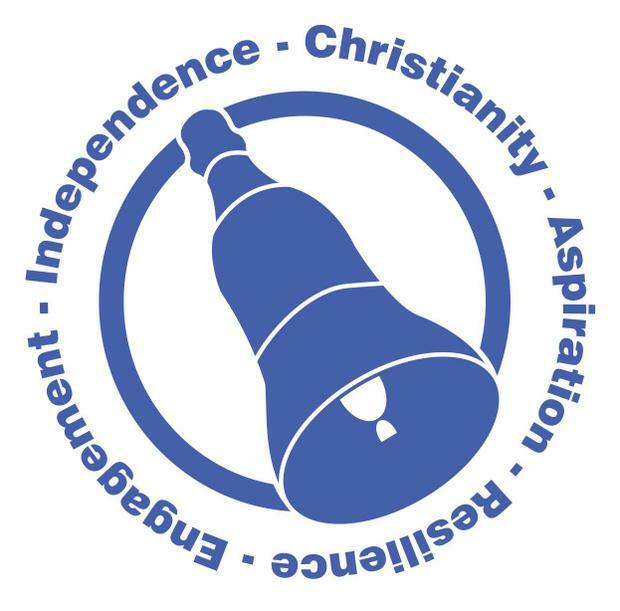 Minster Primary School is a Church of England Primary School and our Christian values are at the heart of everything we do. These are then underpinned by our learning values. Our whole school ethos for learning and behaviour is guided by them. Each aspect of school life is encountered through these values to establish a forward thinking, diverse and innovative culture in which our entire school community flourishes. Every school policy is written with this in mind. Personal data is any information that relates to an identified or identifiable living individual who can be identified directly or indirectly from the information. The information includes factors specific to the physical, physiological, genetic, mental, economic, cultural or social identity of a living individual. This includes any expression of opinion about an individual and intentions towards an individual. Under the GDPR personal information also includes an identifier such as a name, an identification number, location data or an online identifier. Personal data must be processed lawfully, fairly and in a transparent manner (lawfulness, fairness and transparency). Personal data shall be collected for specified, explicit and legitimate purposes and not further processed in a manner that is incompatible with those purposes (purpose limitation). Personal data shall be adequate, relevant and limited to what is necessary in relation to the purpose(s) for which they are processed (data minimisation). Personal data shall be accurate and where necessary kept up to date and every reasonable step must be taken to ensure that personal data that are inaccurate are erased or rectified without delay (accuracy). Personal data shall be kept in a form which permits identification of data subjects for no longer than is necessary for the purpose for which the personal data is processed (storage limitation). Appropriate technical and organisational measures shall be taken to safeguard the rights and freedoms of the data subject and to ensure that personal information are processed in a manner that ensures appropriate security of the personal data and protects against unauthorised or unlawful processing of personal data and against accidental loss or destruction of, or damage to, personal data (integrity and confidentiality). In addition, personal data shall not be transferred to a country outside the EEA unless that country or territory ensures an adequate level of protection for the rights and freedoms of data subjects in relation to the processing of personal data as determined by the European Commission or where the organisation receiving the data has provided adequate safeguards. Data subjects must be easily able to withdraw consent to processing at any time and withdrawal must be promptly honoured. Consent may need to be reviewed if personal data is intended to be processed for a different and incompatible purpose which was not disclosed when the data subject first gave consent. When determining whether legitimate interests are the most appropriate basis for lawful processing (only where appropriate outside the school’s public tasks) a legitimate interests’ assessment must be carried out and recorded. Where a significant privacy impact is identified, a data protection impact assessment (DPIA) may also need to be conducted. the processing is necessary for reasons of public interest in the area of public health. means the School’s processes must embed privacy considerations and incorporate appropriate technical and organisational measures (like pseudonymisation) in an effective manner to ensure compliance with data privacy principles. what measures can be put in place to address those risks and protect personal information. a description of technical and organisational security measures. Whether the personal information is retained or erased in accordance with the Retention Schedule and, if not, the reasons for not following the policy. Reviewing policies, procedures, contracts and agreements to address retention, security and data sharing. When information is collected directly from data subjects, including for HR or employment purposes, the data subject shall be given all the information required by the GDPR including the identity of the DPO, how and why the School will use, process, disclose, protect and retain that personal data through a privacy notice (which must be presented when the data subject first provides the data). To request a copy of an agreement under which personal data is transferred outside of the EEA. To make a complaint to the ICO or a Court. keep personal information secure (e.g. by complying with rules on access to premises, computer access, password protection and secure file storage and destruction in accordance with the school’s policies). the organisation will submit to audits and inspections, provide the school with whatever information it needs to ensure that they are both meeting their data protection obligations, and tell the school immediately if it does something infringing data protection law. Personal information that is no longer required will be deleted in accordance with the Schools Record Retention Schedule. Staff should ensure they inform their line manager/DPO/Executive Headteacher/Head of School immediately that a data breach is discovered and make all reasonable efforts to recover the information, following the school’s agreed breach reporting process. To make a complaint, please contact Executive Headteacher. These may be provided by a legally binding agreement between public authorities or bodies, standard data protection clauses provided by the ICO or certification under an approved mechanism. The GDPR states that legitimate interests do not apply to processing carried out by public authorities in the performance of their tasks, Article 6 However, the ICO indicates that where there are other legitimate purposes outside the scope of the tasks as a public authority, legitimate interests may be considered where appropriate (particularly relevant for public authorities with commercial interests).